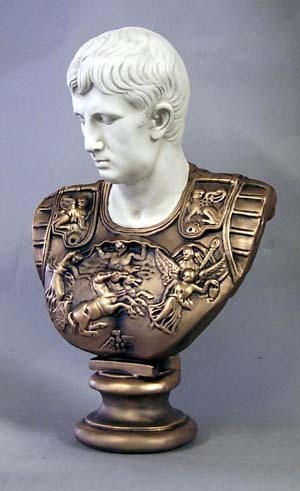 This Caesar Bust is done here in a custom finish. If you would like this finish. Please choose "AS Shown" in the drop down menu This Bust statue is shown in one of many finishes available. Made of durable fiberglass and designed for indoor and outdoor use.